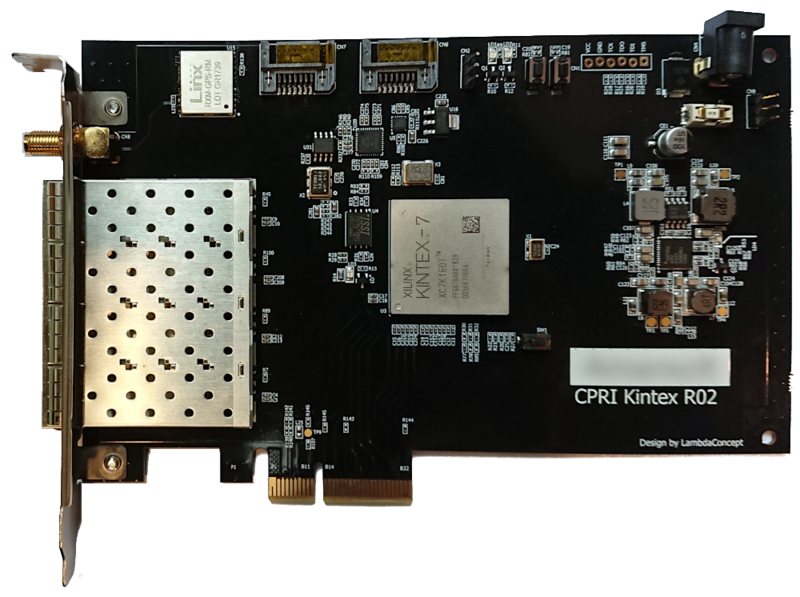 Xilinx Kintex-7 FPGA board featuring 4x 10Gbits/s SFP links, designed to carry CPRI radio signals over fiber optics. Accurate timings are provided with GPS signal. This equipment is currently used in live 4G LTE Radio Access Network environments. 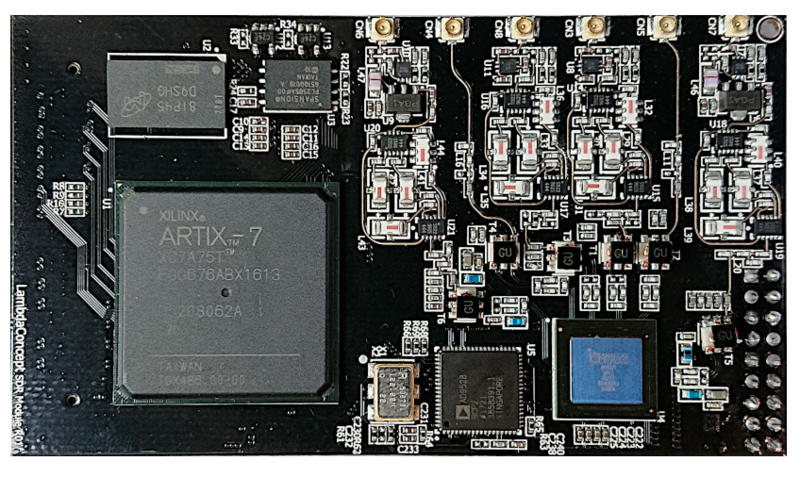 Xilinx Artix-7 FPGA board designed for high definition digital video broadcasting. It features 4xRX & 4xTX UHD-SDI video transceivers. 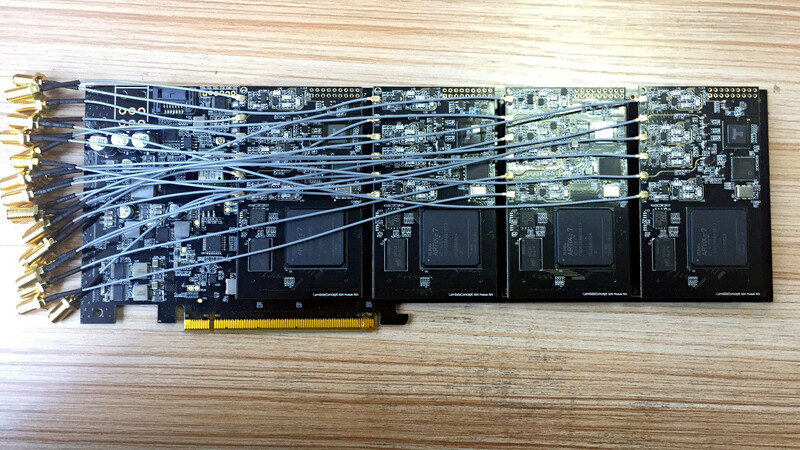 Software Defined Radio (SDR) backplane board equipped with 4 plugable modules interconnected with PCI Express. Each module features a Xilinx 7-Series FPGA, 256MB DDR RAM and a wideband RF transceiver with dual RX/TX channels. This makes a total of 8xRX, 8xTX, 8x observation channels. 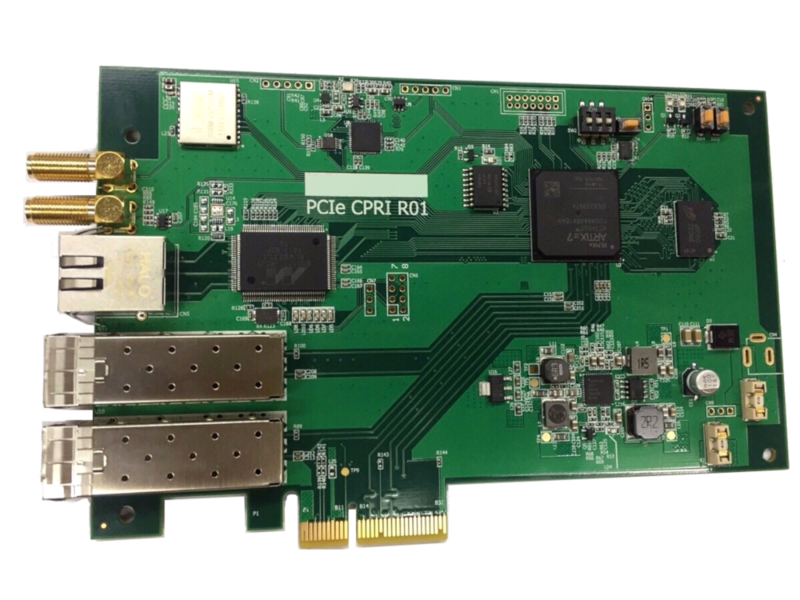 Previous version of PCIe CPRI designed with a Xilinx Artix-7 FPGA, featuring 2x 5Gbits/s SFP links for fiber optics and gigabit ethernet. 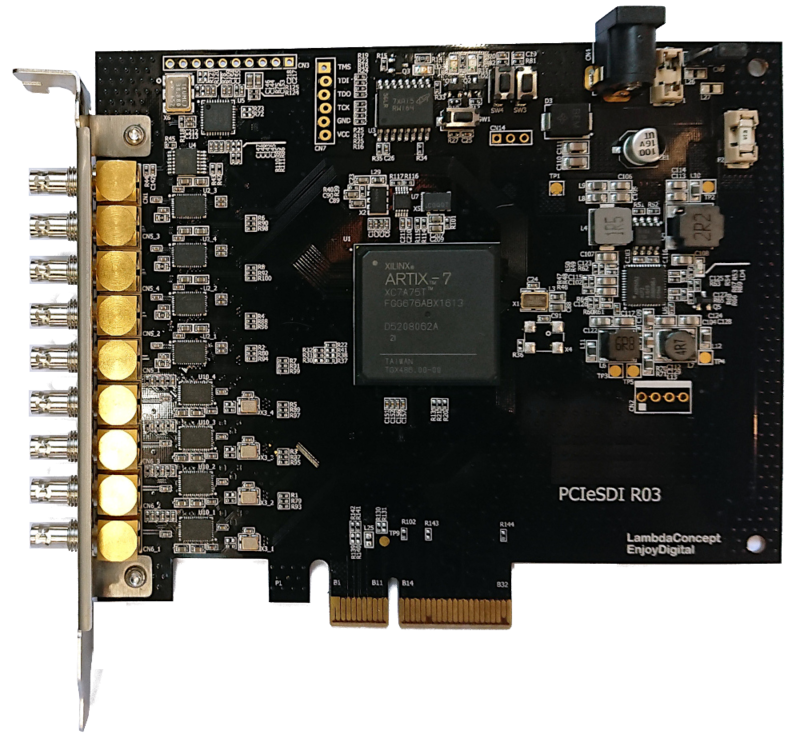 Revised version of our successful PCIe Screamer especially designed for DMA (Direct Memory Access) attacks over PCI Express. 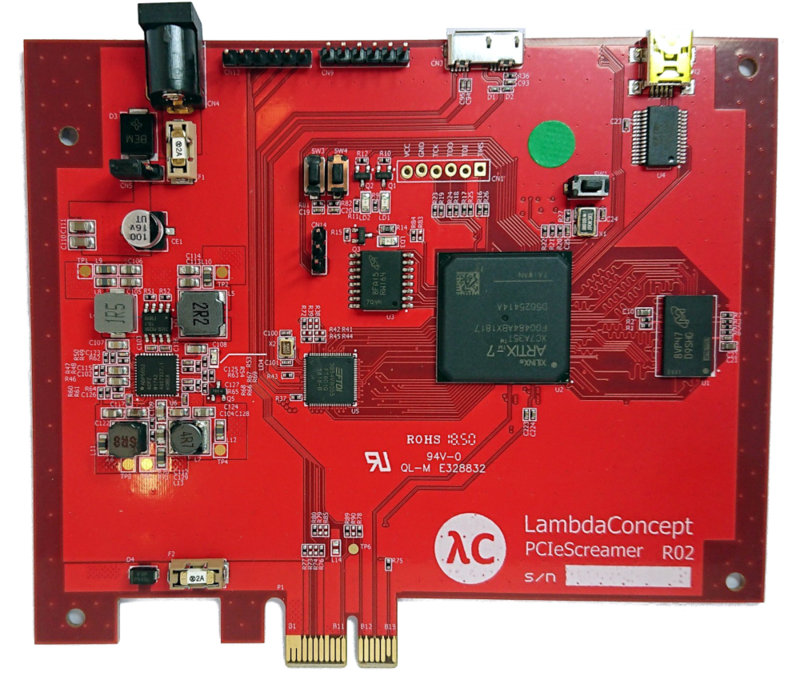 It features Xilinx 7 Series FPGA, FT601 FTDI USB 3.0, 256MB DDR3 DRAM and PCIe Gen2 x1. 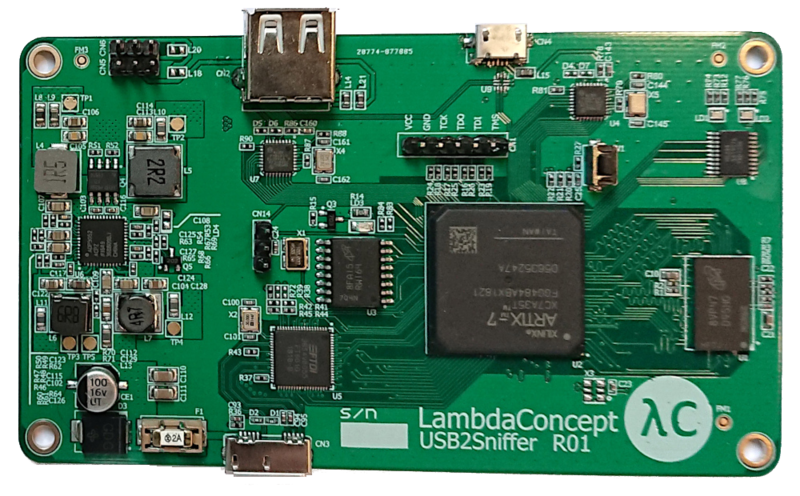 Narrow Band LTE IOT module based on a ARM Cortex M7 and Lattice FPGA with NB Radio module. Up to 15 Xilinx Artix-7 XC7A200T on a single board! 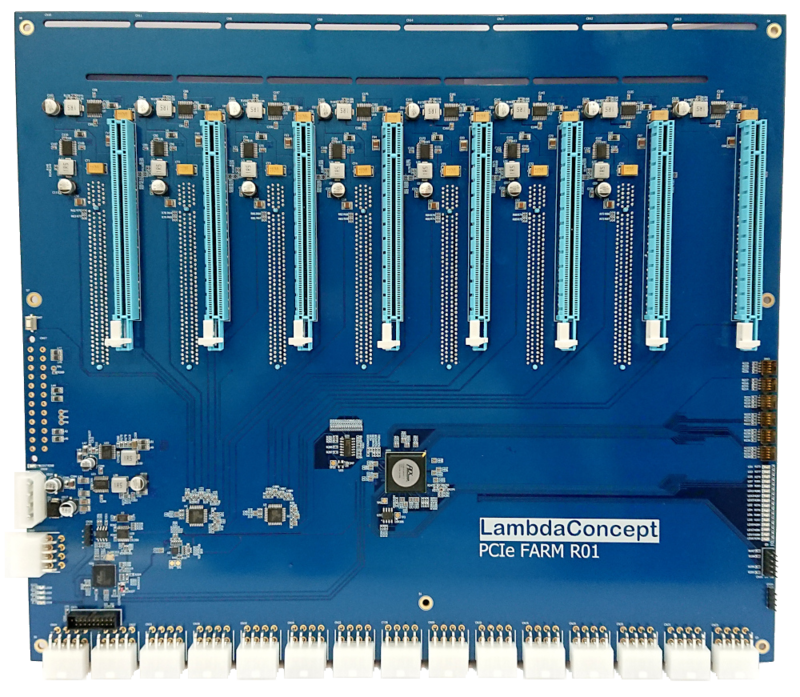 This board is specifically designed for cryptocurrency mining and password hashing. 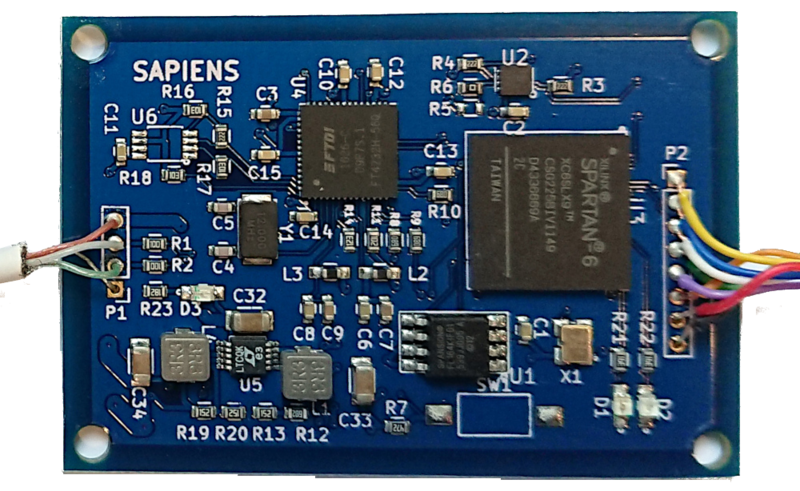 The backplane board provides power, PCIe links and JTAG chaining to each independent FPGA module. Spartan 6 FPGA based Apple Lightning cable.